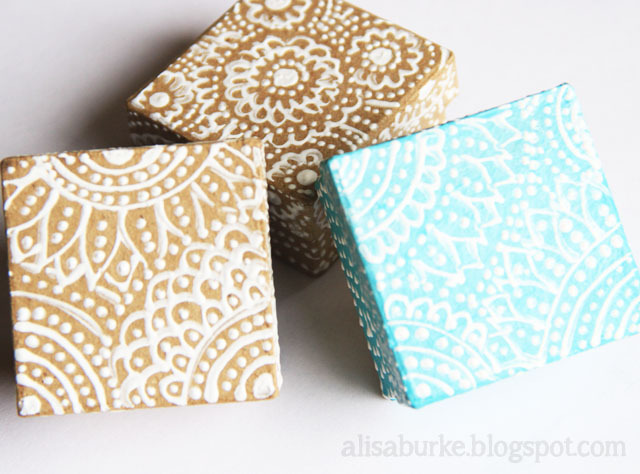 You've gotta know by now that I am IN LOVE with using 3-D paint in all kinds of projects. 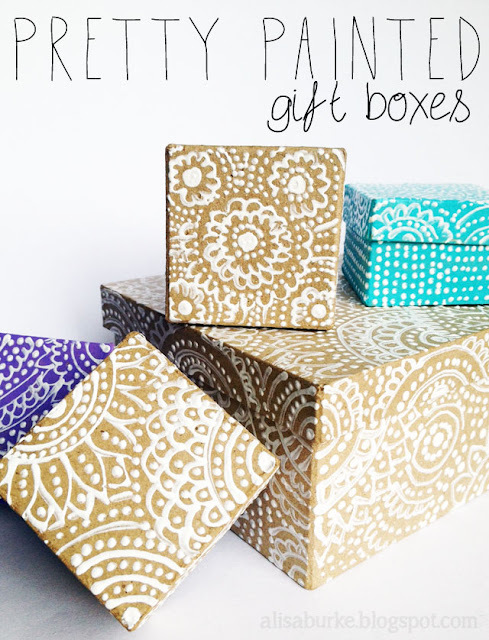 This year, with the holidays approaching, I was inspired by my Pretty Painted Pumpkin project to come up with a similar way to get the same look and feel but on gift boxes that I could use in my holiday wrapping. 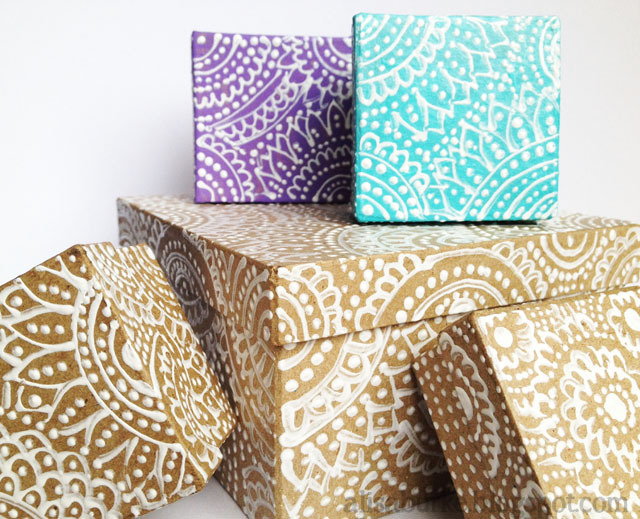 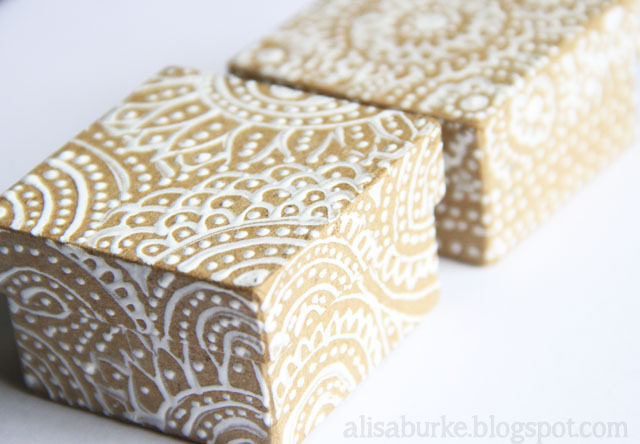 I started by painting a brown craft box with a solid color and used Scribbles 3-D Paint to doodle pretty designs all over the surface of the box. 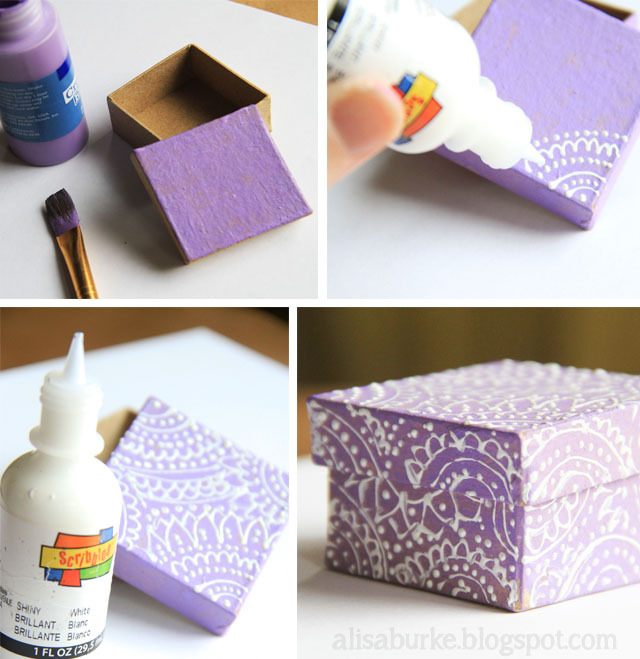 I left some of the boxes plain and simply applied the 3-D paint to the top, letting the natural color show through. 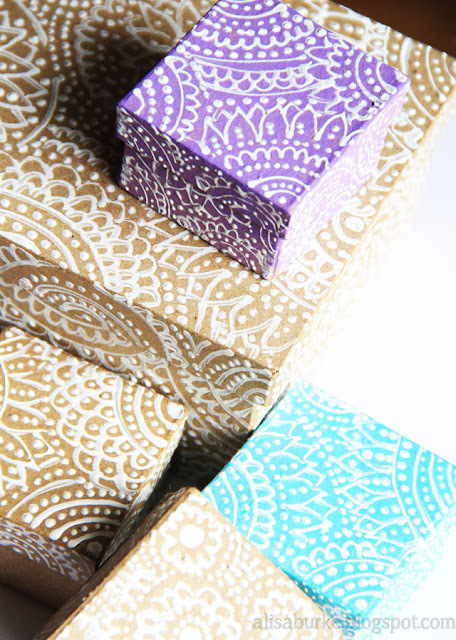 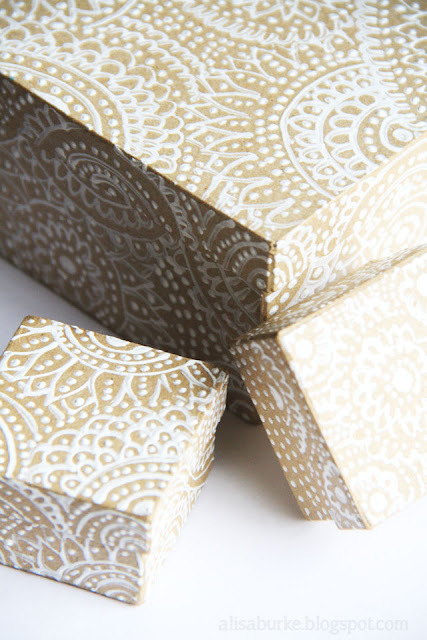 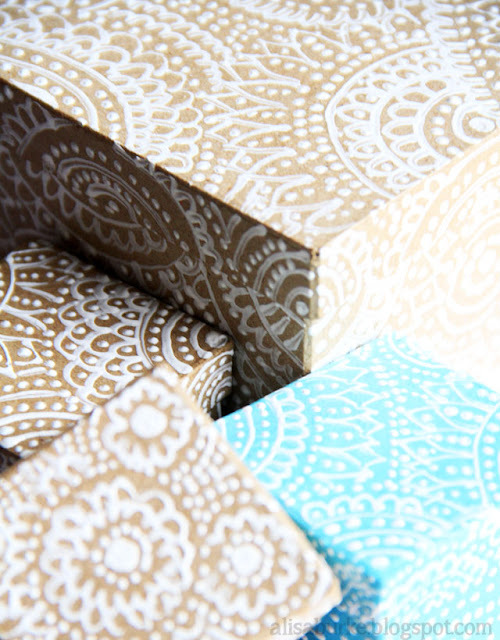 The result are decorative and pretty little homemade boxes perfect for gift giving!